Our Purifying Himalayan Crystal Massage Stones have a myriad of uses in personal care; they provide a soothing, healing massage, and can be used in the shower to exfoliate while skin absorbs essential minerals to rejuvenate the entire body. They can also be used as natural deodorant bars, the natural anti-microbial and anti-bacterial properties of the salt cleans away bacteria that causes odor. 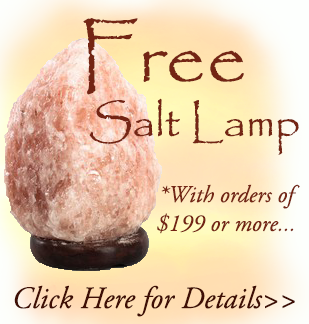 Heated Salt Stone message may help with Nervous Disorders, along with relaxing tired sore muscles caused by sports and work related injuries and activity, as well as conditions such as Arthritis. Chilled Salt Stone therapy may reduce inflammation and swelling of joints and muscles caused by sports activities, work related injuries and other conditions affecting these areas. 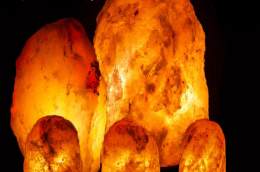 Used dry or with essential oils for massage, Salt Stones can last many years; longer in dryer climates, less in moist climates, however, if properly sealed from humid air they can last longer in those climates as well. Massage Stones will dissolve more rapidly if used in the shower or bath. Himalayan bath sea salt helps remove dead skin cells and replenishes essential vitamins to the skin, promoting clearer skin with a healthy glow. This 250 million year old salt contains more than 84 essential minerals. *Use Caution when warming the Salt Stones. Test the temperature of the salt prior to use. 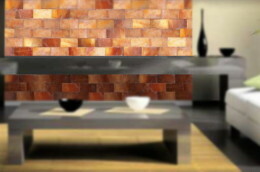 If the temperature is too hot, set the stones aside for a few minutes to cool. Repeat this procedure as necessary. Do not allow children to use this product without adult supervision. *Due to the nature of the salt used in these products, coloring may vary. 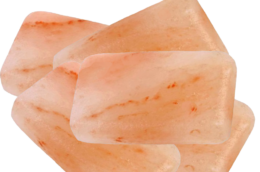 Natural Himalayan Salt Crystal Detox Blocks are a hypo-allergenic, natural treatment reputed to cleanse your body of toxins in an easy, trouble-free, and painless way. Meanwhile the anti-bacterial, anti-fungal and anti-microbial properties of the salt can be effective in treating various foot ailments like Athletes' Foot, and other fungal infections. 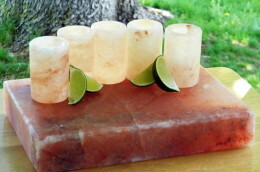 These unique, beautiful natural salt shot glasses are a great way to make gargling with salt easy, as well as more easily tolerated. Himalayan Salt has a more subtle salt flavor, without the harsh "twang" of regular table salt. Simply fill a glass with warm water, swish the water around a few times, and gargle as usual! When you are finished gargling simply wipe the glass off with a paper towel or clean dry cloth, and allow it to dry.